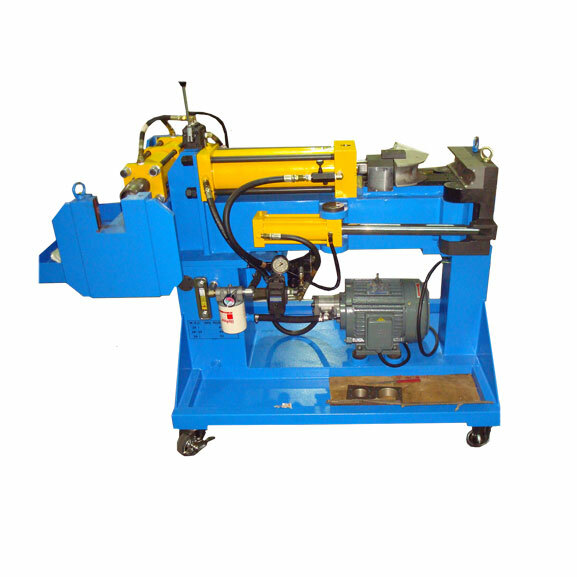 The Radius Benders Press Bender (Model PB75), is an exhaust tube and pipe bender and can be used for making furniture, truck gates, exhausts/mufflers, bull bars, or for bending re-inforcing bar and a multitude of other products where tube and pipe bending is required. 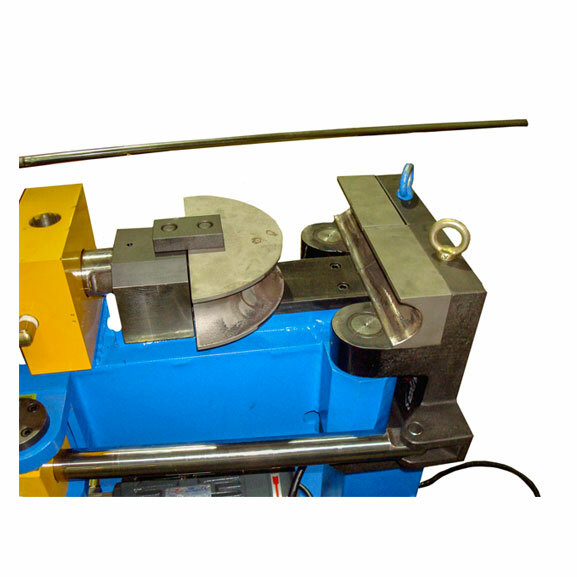 Materials that can be bent with this Press Bender are mild steel, aluminium and other non-ferrous materials. Ideal when doing small job runs in-shop. The PB75 is a replacement model to our earlier model B3000. 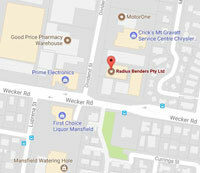 Advertised price includes GST but does not include freight. 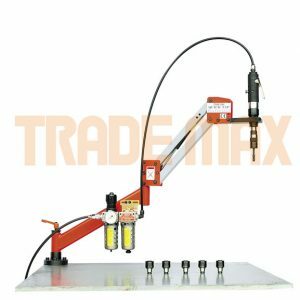 Customers have found the Radius Benders Press Bender PB75 an exhaust bender suitable for muffler shops as well as light industry with small in-house bending jobs. As this is an infinitely superior product on the market it is rarely seen in the second-hand market. 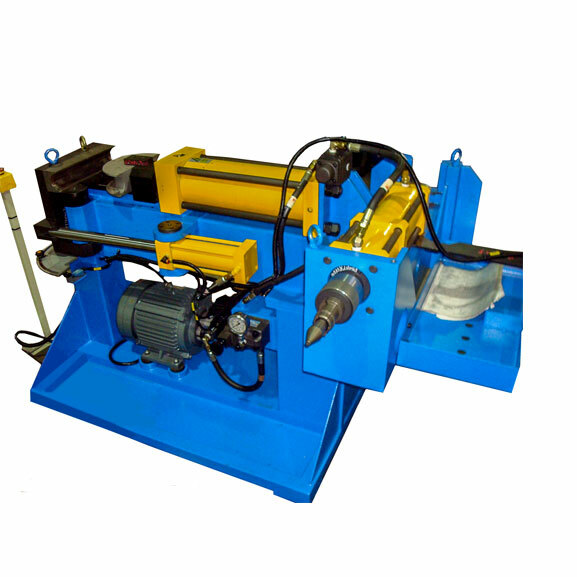 Another feature is that the machine comes in a basic configuration as a tube and pipe bender with a swager (reducer/expander) attachment for expanding, flaring and reducing tube as is done in muffler shops. 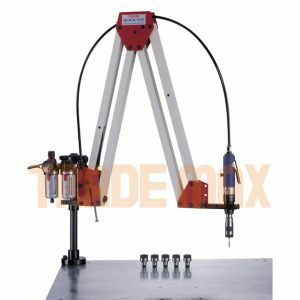 The benefit of this is that basically you have three machines in one. Operation is manual, and options are not offered. 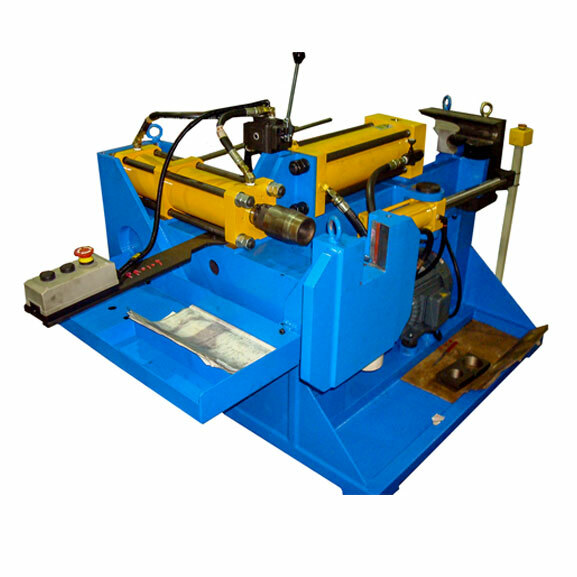 The bender is supplied without tooling, however, as tooling is compatible with most “RADIUS” press benders, a wide range of tooling is available. 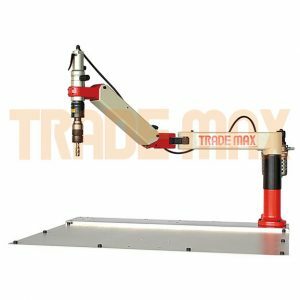 Furthermore customers have found it advantageous that there is a tool rack inbuilt so when the machine is wheeled around all the tools are still with it. 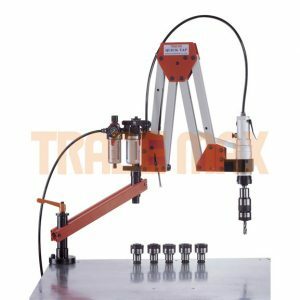 In addition the Radius Bender PB75 Press Bender / Exhaust Tube and Pipe Bender has a unique safety feature with the "Touch Start" operating on the "Forward" control switch and the "Forward" swager button. If left alone for more than two minutes it automatically shuts itself off. 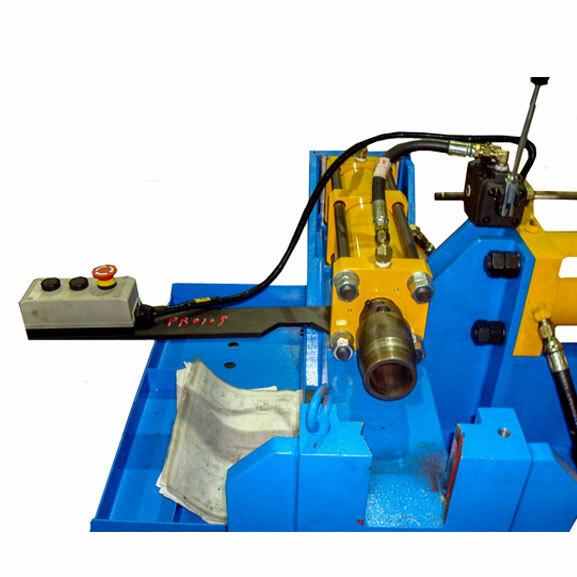 Tooling for the Radius Benders PB75 Press Bender / Exhaust Pipe Bender is available however not in stock as it is customised to customers requirements.